AICCON – Italian Association for the Promotion of the Culture of Co-operation and of Nonprofit Organisations is an association formed in 1997 among University of Bologna, School of Economics, Management and Statistics, Forlì Campus, within the academic course on Social Economy. The Centre for Social Economy (CES) is a research and teaching centre within the “Social Enterprises and the Social Economy” Peak of Excellence of HEC-Management School of the University of Liege. The Center is one of the founding members of EMES and has participated in the PERSE project. CSE carries out education, knowledge sharing and research activities in the area of social entrepreneurship, social enterprise, welfare studies and civil society. The Centre for Social Studies (CES) of the University of Coimbra is an Associate Laboratory of the Ministry of Education and Science (MEC) since 2002. CES is a scientific institution dedicated to interdisciplinary and transdisciplinary research whose main mission is the research within the social sciences and humanities as well as within other scientific fields whenever relevant. Euricse is a research centre designed to promote knowledge development and innovation for the field of cooperatives, social enterprises, commons and nonprofit organizations. 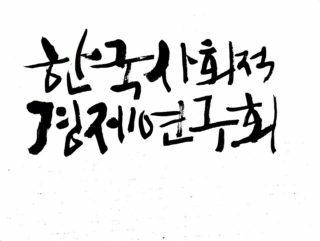 Korean Association for Social Economy Studies(KASES) is an association of researchers and field leaders and activists with a view to cooperating between theories and practices and mutualizing experiences of both sides. Sheffield Hallam University has a long-standing track record of research and teaching on third sector issues. Our strategy to become a leading applied research University that engages globally while leading locally will guide our work in this field as we move forward. Social enterprise has been a part of Södertörn University’s repertoire since it’s foundation, which as a matter of fact coincided with the foundation of EMES, and faculty of Södertörn University participated in the European network at a very early stage. The Institute of Labour Economics and Industrial Sociology (LEST) is a Mixed Research Unit of the CNRS and of the Aix-Marseille University. The Institute develops research on labour, employment, training programmes and innovation in the social sciences and humanities.